ASTRO Malaysia was listed as "Best of the Best" honour at the Putra Brand Awards 2012! They said, "Thank you Malaysia for voting ASTRO, the most popular brand!" 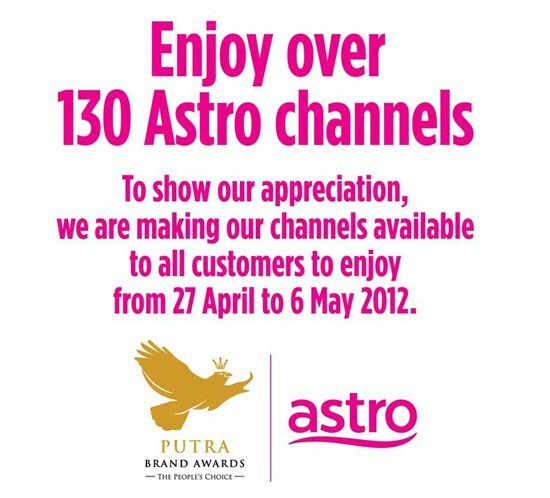 They like to say, "thank you" for for all Astro subscribers, so they get to watch 130 channels for free in a week! Mean, 130 ASTRO channel broadcast free from on 27 April till 6 May 2012. Want to know more results about who win the good brand? Please check the results of Putra Brand Awards 2012! I also check all channels in ASTRO at my home! I really enjoyed to watch the channels, Animax (715), Fox Premium and HBO during my long weekend! 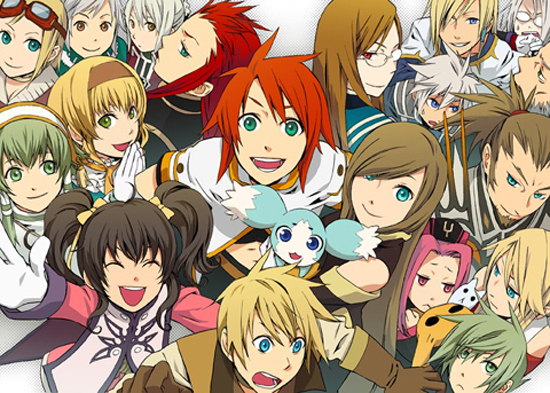 I am watching Tales of the Abyss at ANIMAX 715 channel! If you are a fan of Anime, please check the 715 channel, there are getting some anime TVs, like Letter Bee, Hunter X Hunter, Naruto (S2), and many...!